Seahouse Cottage is part of a landmark property perched on the cliffs next to Cocklawburn beach. 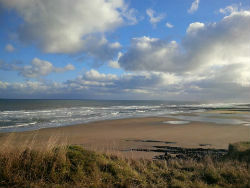 It is approximately 3 miles south of Berwick upon Tweed, Northumberland. We are easily accessible by the mainline train network or the A1. It is a superb spot for walking, bird watching, sea fishing, cycling, diving, sea kayaking, horse riding as well as superb links golf courses. 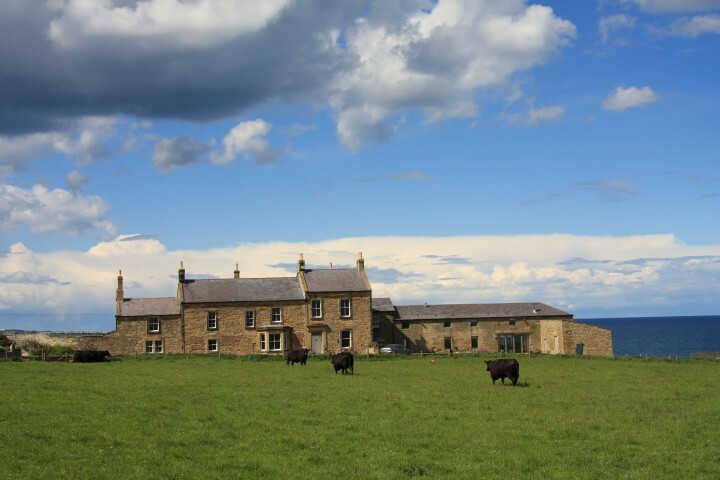 Within easy reach of the Cheviot Hills, Holy Island of Lindisfarne, Bamburgh Castle, Farne Islands, Alnwick Castle and Gardens and everything that this part of Northumberland and the Borders has to offer. Well behaved dogs are welcome with prior arrangement. 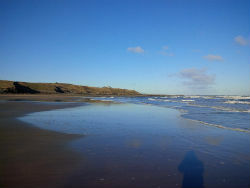 There are dog friendly walks to the north along the cliffs towards Berwick or South to the beaches of Cocklawburn, Goswick and Holy Island. Seahouse Cottage was a great place to stay, minutes walk from the beach and short drives to all sorts of interesting places. The boys loved playing on the beach especially looking in all the rock pools. Would highly recommend. The Watsons. "Your cottage is truly delightful, tastefully furnished and with every facility imaginable. We have thoroughly enjoyed our walks over the cliffs to Spittal and exploring the surrounding areas". The Mosleys and Tilly the dog. "A perfect holiday retreat. It's a lovely cottage in a wonderful location with everything you could want provided". Mrs and Mrs James. "Your Cottage is Truly Delightful"
"A Lovely Cottage in a Wonderful Location"
"We Have all Enjoyed our Stay"
"We have all enjoyed our stay at Seahouse Cottage. The cottage is comfortable and in a fantastic location. Everything we needed as a family of 6 was here. I think the best compliment I can pay is that we are sorry to go and can't wait to get back". The Gibbons Family, Ely. "Thank you Ed and Sarah"
"We have loved staying at Seahouse Cottage"
"We have loved staying at Seahouse Cottage and will be sorry to leave. The cottage is beautiful and the location absolutely stunning. We have loved our walks along Cocklawburn Beach and have had some great days out... thanks for a great holiday"! Lorna, Brian Erin and Eve. Fantastic time, great cottage, great hosts"
"We have had an enjoyable two weeks"
"We have had a fabulous holiday"
"We loved staying at Seahouse Cottage"